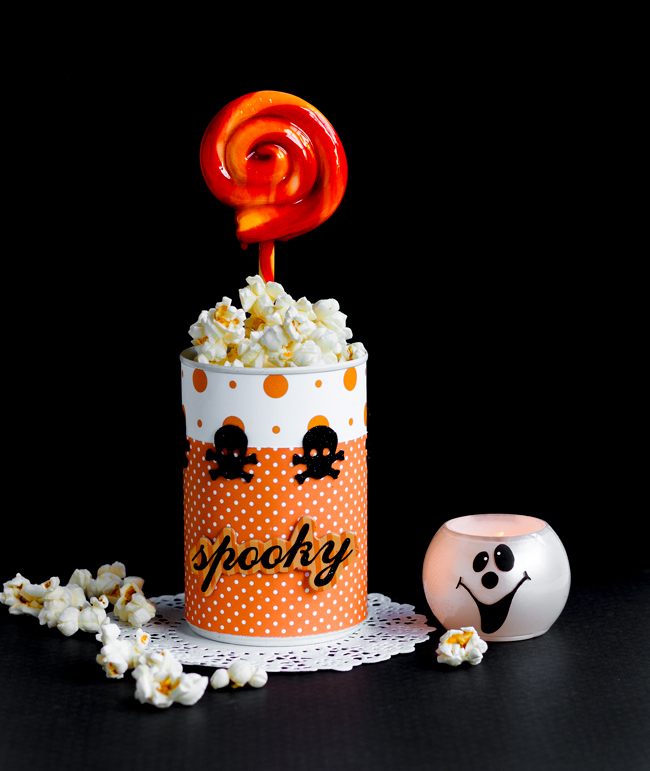 Halloween Party Favors – It’s BOO time! One of my good friends has a lovely blog called Molly Mel. Regina often shares some of her favorite seasonal themed ideas with me so that I can feature them on my blog. These adorable Halloween Party Favors are super easy to make and will give your party guests something to take home with them. This makes the a win-win for everyone. These party favors would be a fun idea give your guests after a Halloween Cookie Swap. See my tips for hosting this type of party here. 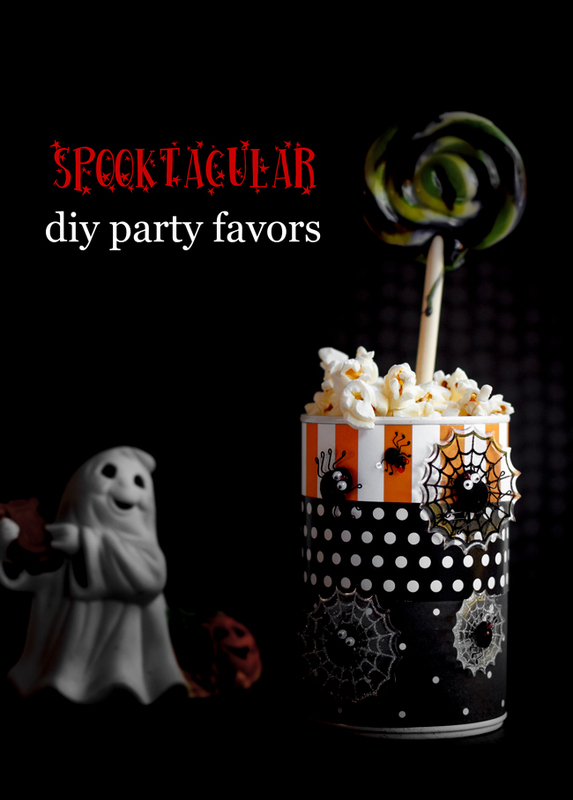 It’s time to make these Halloween Party Favors. Click here to see how Regina put the project together and while you are there, be sure to have a good look around her lovely blog. Regina is a regular contributor to my websites and has a lot of Brazilian recipes as well as lots of crafts and decor projects. 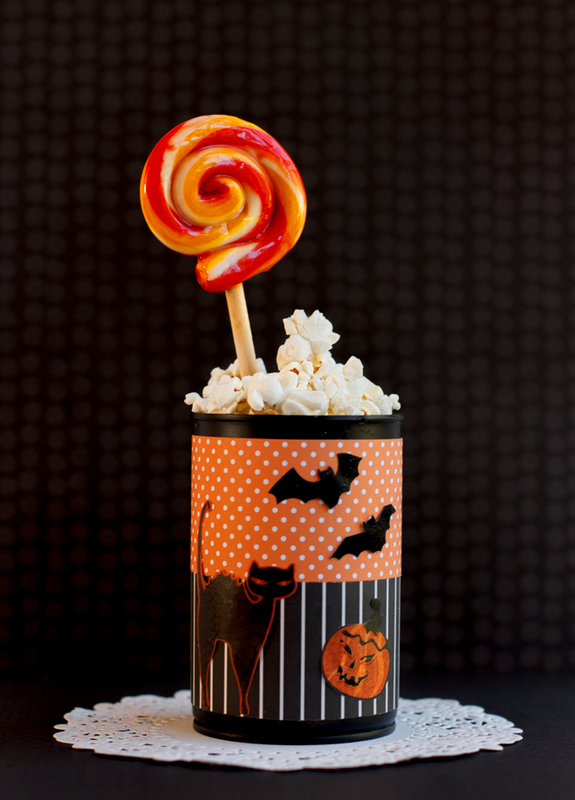 How cute are these Halloween Party Favors? They can be used to hold your favorite party snacks, and each guest has a special cup to take home with them to remember the party. The will also give a lot of mood to your Halloween decorations while the party is going! Regina has a few of these designs on her design and has a step by step photo tutorial to show how she puts them together. I love this idea Regina! Thanks for sharing it with my readers. This idea is very versatile, too. You could use the same tutorial and switch out the look for either a Thanksgiving or Christmas party by just changing the Scrapbook paper and stickers for either season. Have you used scrapbook paper in your party crafts? What is your favorite way to use them?